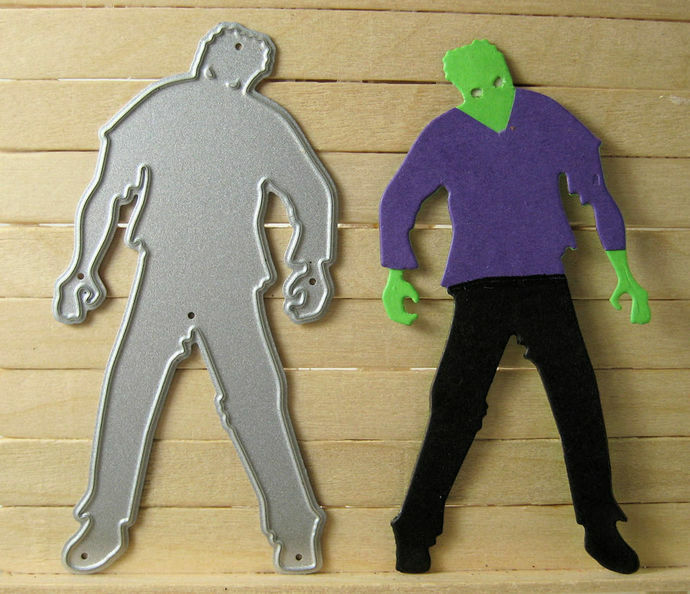 Frankenstein, Walking Dead Guy Cutting Die, just shy of 3 inches tall. 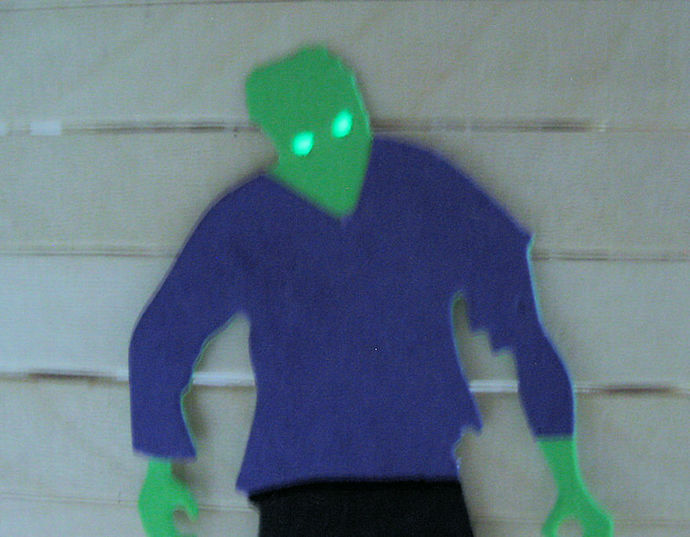 First I cut him out of bright green then cut out pants in black and last cut out shirt in purple and gave it a v-neck. Then I glued some glow in the dark paper behind his eyes. 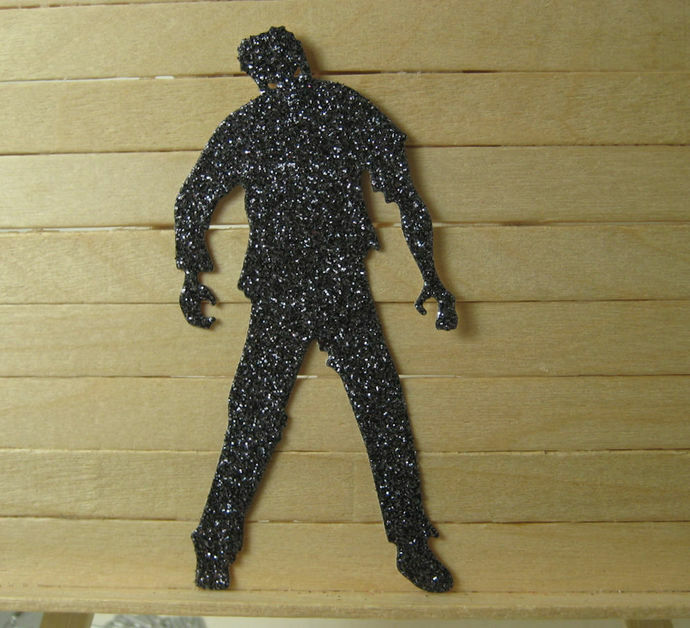 The last picture is out of black glitter paper.